To further improve the meditation skills of students, Ocean Sky offers half-day retreat. The retreat, held twice per batch, is an intensive Zen practice. It starts with an orientation on Buddhist etiquette, and the chanting of the Diamond Sutra to calm and empty the minds of the participants. Then it is followed by four periods of sitting meditation, with brisk walking and short breaks in between. Complete silence is observed. Electronic devices, timepieces, and notepads are also kept away. By letting go of these things, students utilize the precious time to fully focus on inward illumination and awareness. 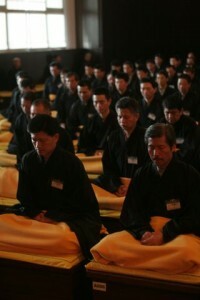 The participants also experience how to conduct themselves and practice Zen during the formal meal. 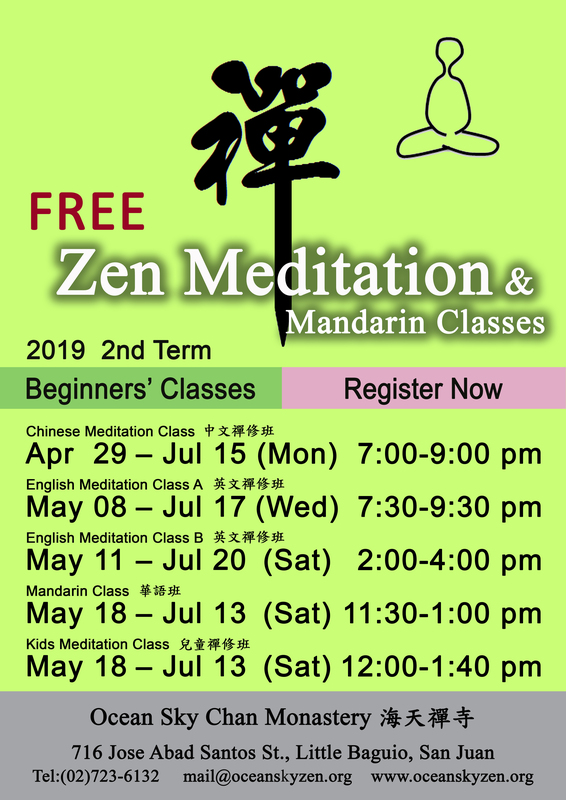 For serious practitioners who want to further improve their meditation practice, Chung Tai usually conducts 7-day meditation retreats, known as Chan-7, for lay people in early spring and summer. The first one falls on the first week of the lunar New Year; while the second is held in July. Each year, a dozen or so from Ocean Sky eagerly join the retreat, whether as participants or as volunteers. They all come home giving positive reflections on their experience of being cloistered for 7 days in their desire to find their true minds. The retreat attracts over a thousand seekers from meditation branches around the world, who come together to experience the true spirit of Chan (Zen), and to realize their Buddha Nature. 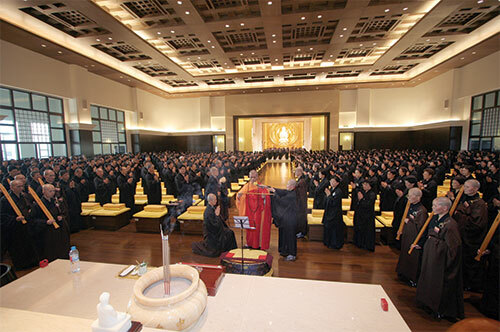 Participants spend seven days and nights inside the monastery in total silence and in full compliance with monastic regulation and practice. Ten sessions of intensive meditation are spread throughout the day, from 5am to 10pm, with meals and rests in between. Each session covers 40 minutes of sitting, and 10 minutes of brisk walking, guided by enlightening Dharma talks from Zen Masters. To help purify the bodies and minds of the practitioners at the start of the retreat, the “Eight Prohibitive and Fasting Precepts”(八關齋戒) are transmitted and observed for one day and one night. 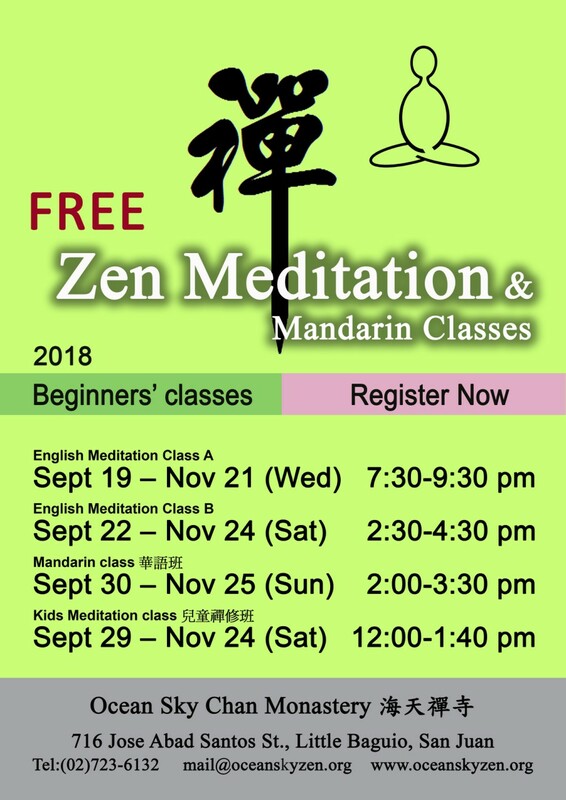 Other than participating in meditation, one can also go as a volunteer (護七), and help out behind the scenes in the retreat in various capacities, like cleaning and setting up of the venues to be used, preparing and serving snacks and meals, directing and securing the traffic of people, etc. Every year, hundreds of volunteers work mindfully and harmoniously round the clock to ensure that the retreat goes smoothly. In serving others, they practice meditation in motion, and still get to reap tremendous benefits and merits for themselves, while experiencing the fulfillment of Dharma joy.